Trouble here as Sonatane Takulua breaches the defence. George Ford has an attempt on goal with a drop kick, but it falls well short. George McGuigan comes on for Newcastle. Santiago Socino leaves the field. The defensive line has been broken as Simon Hammersley goes through the gap. Newcastle decide to make a substitution, with Jack Payne getting some game time. Newcastle decide to make a substitution, with Logovi'i Mulipola being replaced. Newcastle make a substitution with Joel Hodgson coming on. Newcastle make a substitution with Toby Flood coming off. Newcastle sub Adam Brocklebank comes onto the field. Sami Mavinga departs for Newcastle. Santiago Socino comes on for Newcastle. George McGuigan leaves the field. What a tackle there by Guy Thompson as he saves a certain try!. Telusa Veainu (Leicester) is shown a yellow card. Adam Thompstone makes the break as the defence re-enacts the parting of the red sea. 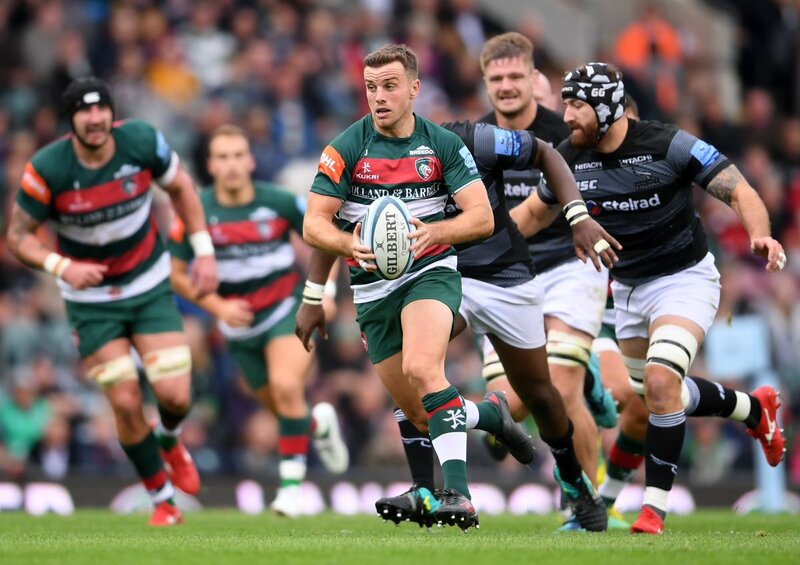 Fabulous play by Leicester has led to George Ford being able to wriggle through a gap. The Newcastle supporters go wild as Toby Flood successfully kicks the conversion. The pressure has finally told as Sami Mavinga scores from close range. Newcastle make a substitution with Alex Tait coming on. Newcastle make a substitution with Sinoti Sinoti coming off. Newcastle sub Gary Graham comes onto the field. Callum Chick departs for Newcastle. This is dangerous for the defence as Mark Wilson bursts through to advance the Newcastle attack. The touch judges raise their flags as Toby Flood kicks the conversion. Newcastle are stopped just a few metres from the try line but Mark Wilson picks up from the base of the ruck to score the try. 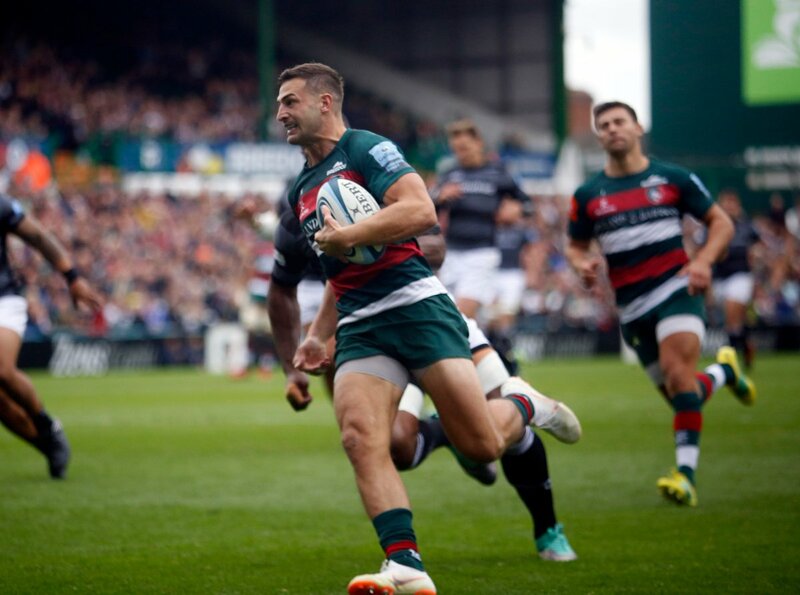 A wonderful passing move by Leicester is finished off by Jonny May. Will Witty has made 10 good tackles so far this game. Brendon O'Connor leaves the field. Chris Harris sets up the try. Vereniki Goneva scores the try from close range. Toby Flood adds the two points for Newcastle. Newcastle are only a few metres out, surely they must score! And they do with Vereniki Goneva touching down. What a run here by Sami Mavinga as they gets over the gainline!. Kyle Eastmond sets up the try. A bit of individual brilliance by Manu Tuilagi leads to a try for Leicester. 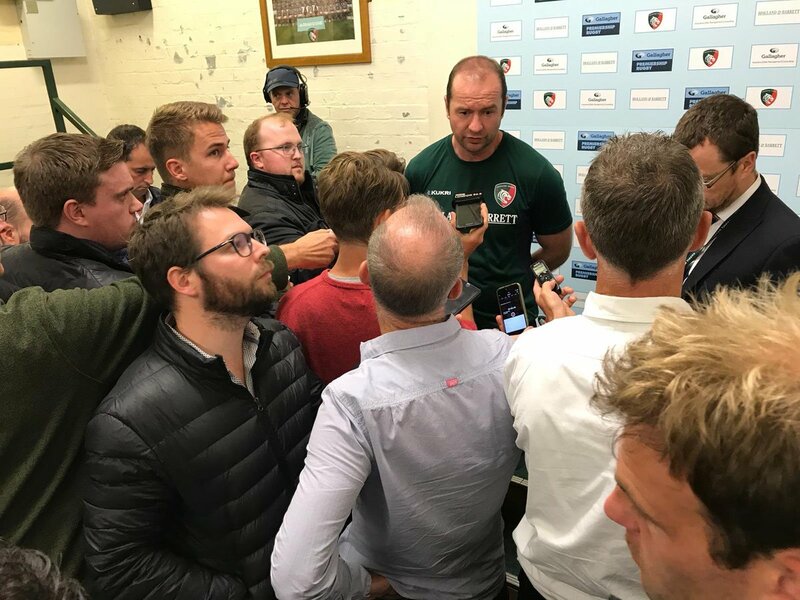 Manu Tuilagi makes the break as the defence re-enacts the parting of the red sea. Toby Flood makes no mistake with that conversion attempt. Spellbinding play by Sinoti Sinoti is finished off with a try. Fabulous play by Newcastle has led to Sinoti Sinoti being able to wriggle through a gap. A series of passes by Newcastle results in a try for Sonatane Takulua. Trouble here as Adam Thompstone breaches the defence. Brendon O'Connor played a key part in that try. 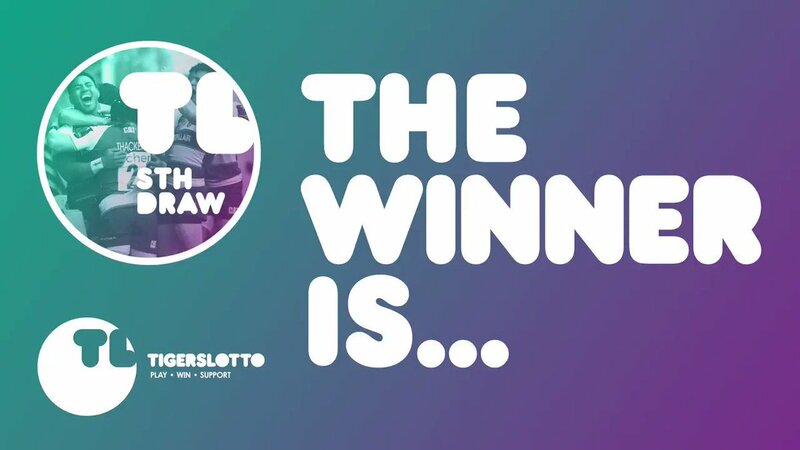 Great hands by Leicester leads to a try for Adam Thompstone. That's a great try assist by Brendon O'Connor. Jonny May intercepts the pass to race ahead and score the try for Leicester. This is dangerous for the defence as Brendon O'Connor bursts through to advance the Leicester attack. Toby Flood steps up to take the penalty but pulls it wide and to the left. George Ford hits the left post with the conversion, failing to add the two points. 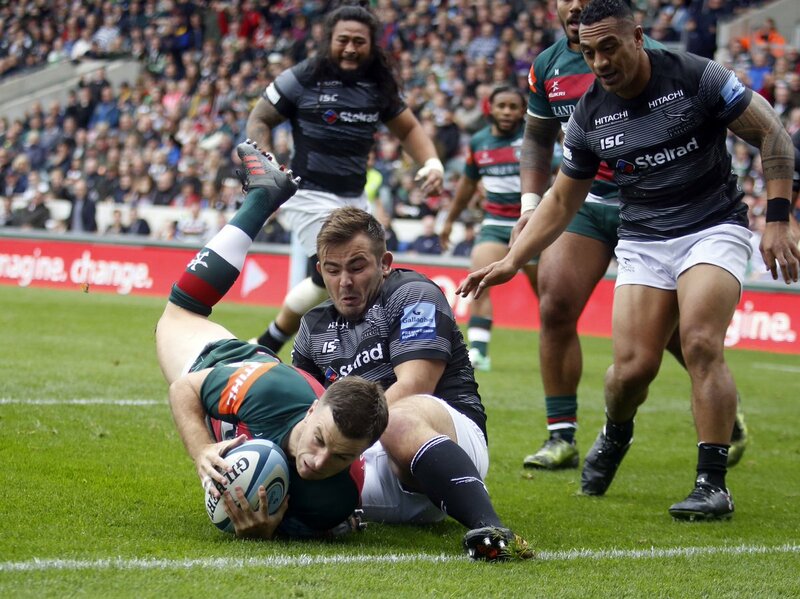 A gap opened in the defence and George Ford took full advantage. The defensive line has been broken as Will Spencer goes through the gap. 🗣 “Quality players step up. I thought a lot of the senior guys did that today. McGuigan back on for Socino as we enter the last 5mins, still Tigers 46 Falcons 33, four-try bonus points secured for both teams. Veainu's sin-bin period ends with Newcastle unable to capitalise on the extra man, although he's replaced by Olowofela. Into the last 10 minutes, Leicester Tigers 46 Newcastle Falcons 33. @greenymum Telusa came from an offside position to make the tackle. 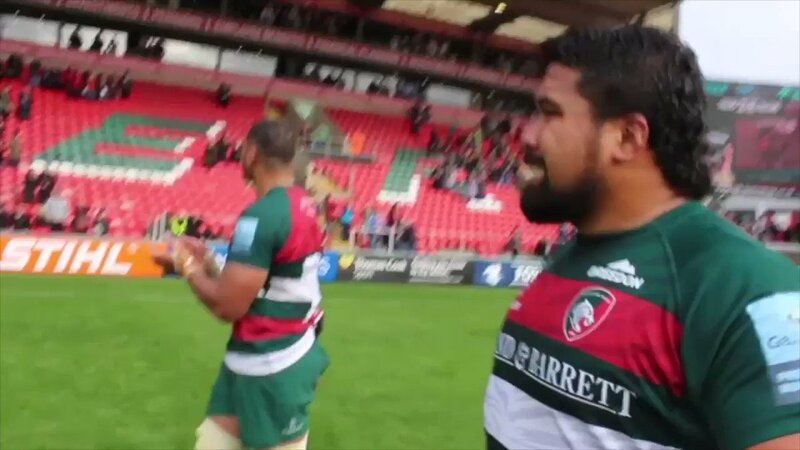 Ex-Tiger Mulipola receives a generous ovation from the very sporting Leicester supporters. Great to see. 16mins to go at Welford Road, where it's Tigers 46 Falcons 33. Bonus points already in the bag for both teams. 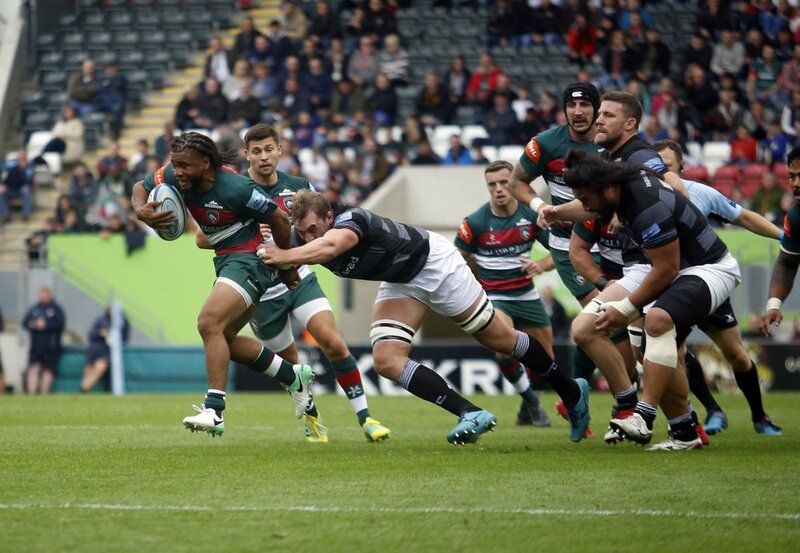 What about this effort from @Manutuilagi in the first half?